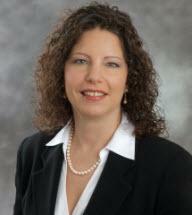 KIM PATRICIA BERG is a founding partner of Gould & Berg, LLP. Throughout her career she has focused her practice in the area of employment law, discrimination, retaliation, civil rights, and commercial litigation. Ms. Berg's representation of both employees and employers provides her with a unique and well-rounded perspective toward employment disputes and litigated matters. She routinely pursues and defends claims before administrative agencies such as the EEOC, New York State Division of Human Rights, Westchester County Human Rights Commission and New York State Department of Labor, as well as before the trial and appellate courts in the state and federal courts throughout New York. She has successfully tried and resolved through settlement countless cases throughout her career. Her success at trial in a complex prisoner death case won her accolades for the highest verdict in a civil rights case as reported by Verdict Searches "Top NY Verdicts for 2009" and she has been named to the New York Super Lawyer's list. In addition to being an experienced litigator, Ms. Berg regularly provides advice and consult to employees and employers in a variety of employment matters, including analyzing the particular issue to determine viable options for a resolution, developing strategies for easing a difficult work environment or dealing with a difficult employee, exploring the possibility of resolution out of court, mediating disputes in the workplace, and drafting, reviewing and negotiating severance agreements. As part of her practice, Ms. Berg also provides advice to employers for the creation and implementation of appropriate anti-discrimination policies and reporting procedures, including conducting training seminars on behalf of companies. “Top NY Verdicts for 2009"